I was already glad to see a 5-star rating hit from one reader on Goodreads, but now we also have a first written review up on both Goodreads and Amazon. Also 5 stars! Follow the links below to either site to read the full review. 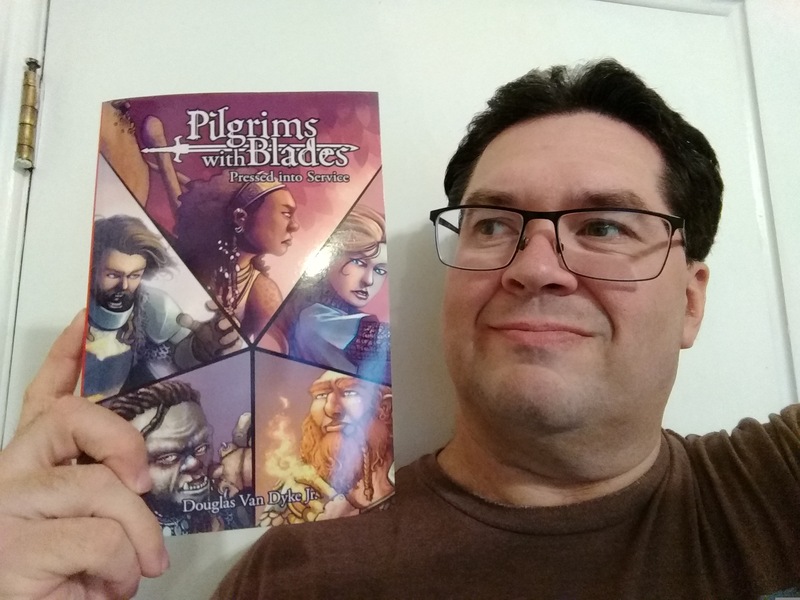 It’s from Christopher Schmitz, who is another author here in Minnesota. And while you’re there, be sure to take a moment to add in your own testimonial for any of my books. Indie authors live and eat through good reviews and recommendations. Our audience is our best advertisers. I don’t have a way of seeing fan reactions except through the reviews. Just so you know, I am still working on the follow-up, in which the group will officially get its name in-story. I was only delayed by the chance to get out my Steampunk short story (Boxer Earns his Wings) after the rights reverted back to me a few months ago. So, while you are off reading, these heroes are right now facing their next adventure. Thank you to all my readers for their patronage and support! 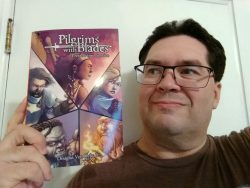 First copy of Pilgrims with Blades in hand.